The unnamed 24-year-old was reportedly left briefly unconscious after the collision at a crossroads in the Barcelona star’s native city of Rosario. 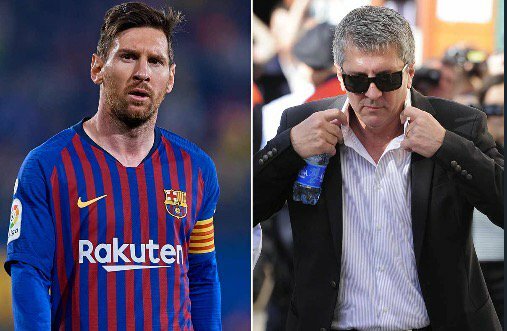 Messi’s 61-year-old dad was driving a BMW M3 and the injured biker was on a a Honda CG 150. Although local reports said the motorcyclist was left unconscious after being knocked to the ground, his injuries were categorised as “non-serious” after he was examined by medics in Rosario’s Clemente Alvarez Hospital A&E. The crossroads where the collision happened, at the intersection of a street called Ayacucho with Regimente 11, is described as an accident blackspot. There are two traffic signs with the word ‘Stop’ on them to avoid accidents. It was not immediately clear on Friday who had priority at the crossroads. Neither Messi or his dad have yet made any comment. Jorge was found guilty of tax fraud in a Spanish court in 2016 alongside his son. Their jail sentences were later reduced to fines.